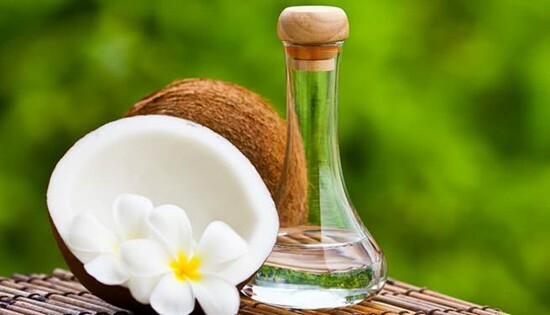 Virgin Coconut Oil from ProSource International Inc. is one of the products to be featured in Taipei International Food Show this coming June. PASAY CITY – Sixteen Philippine companies are set to exhibit at Taipei International Food Show or popularly known as Food Taipei this June 21-24 June 2017, held at Taipei Nangang Exhibition Center. Organized by the Taiwan External Trade Development Council (TAITRA) and considered as one of Asia’s leading food shows, the show will coincide with five events and over 1,500 exhibiting companies. The FoodPHILIPPINES exhibition is part of the efforts of the Department of Trade and Industry, through the Center for International Trade Expositions and Missions (DTI-CITEM), to strengthen the position of Philippines as a leading source of premium, natural, healthy, and ready-to-eat processed food and beverages in the Taiwan food market. Exhibitors will be representing the Philippines’ Premium Products such as Coconut, Banana, Cacao, and Tuna and other healthy products. Tagged as one of Asia’s “Four Tigers,” Taiwan has a vibrant economy and is considered as one of the richest in Asia. “Our aim is to increase market share of Philippine food exports to Taiwan by achieving at least USD 22 million worth of export sales. For the longest time, Taiwan has been increasingly reliant on food and agricultural imports due to the country’s limited arable land and agricultural production. This factor enhances the market opportunities for the Philippines, to penetrate the Taiwan food market,” says Clayton Tugonon, Executive Director of CITEM, or the Center for International Trade Expositions and Missions. The exhibitor team is composed of manufacturers and exporters of products from the southern regions, focusing on a mix of fresh and processed healthy/natural products, Halal, ready-to-eat food, and industrial ingredients. Exhibitors includes: Raw Brown Sugar Milling Co., Inc. for organic muscovado sugar, Prosource International Inc. for virgin coconut oil, nectar, amino; Pasciolco Agri-Ventures for virgin coconut oil, coco sugar, coco jam, and coco sap vinegar; Malagos Agri-Ventures Corporation for unsweetened chocolate, roasted cacao nibs, and dark chocolate; Fitrite Inc. for fruit juices, noodles, mixes, bagoong; Year Luck Food And Industrial Corporation for soft-serve ice cream powder, as well as ice cream cones- waffles and wafers. Also participating are Tropicana Food Products Inc. with their virgin coconut oil; CJ Uniworld Corp. for banana chips, Celebes Canning Corporation for canned tuna, pouched tuna, and frozen tuna; DMI Medical Supply-Food Div. for the MX3 Food Supplement, MX3 coffee and MX3 tea which uses xanthone from mangosteen; JNRM Corporation with native pre-mixed delicacies and flavor syrups. DTI-CITEM also partnered with DTI-Export Marketing Bureau (DTI-EMB) to feature in the Taiwan the export-ready products of companies under the Regional Interactive Platform for Philippine Exporters (RIPPLES) Plus Program. Under the RIPPLES Plus Program, participating are Mama Tina Pasta with their Noodles, Pasta, Canned Meat; Green Life Coconut Products Philippines, Inc. with their coconut butter, organic coconut cider vinegar, organic coconut spirit; Team Asia Corporation with their coconut oil, VCO, and other coconut related products, coconut products, vegan coconut powder; and Weambard International Traders, Inc. with their canned fruit products in light syrup, mango slice, mango bits with nata de coco bits, banana (whole saba) mango puree with sago, young coconut strings. The Department Of Science And Technology - Industrial Technology Development Institute (DOST-ITDI) will also exhibit the products made using the Philippines' state-of-the-art food technologies and equipment. The food and drinks sector is the fifth largest industry in Taiwan and one of the market’s fastest growing sectors. Attendees are expected to range from local supermarkets, hypermarkets, and convenience stores as these increase range of imported foods to meet demand. The Food Taipei 2017 visitor profile includes importers/wholesalers, distributors, hotel owners/representatives, restaurant and bakery owner, online retailers coming from China, Japan, and Hong Kong as well as Malaysia, USA and Singapore. Philippine products to be exported to Taiwan must adhere to the requirements specified by Taiwan’s Food Safety and Sanitation Act (FSSA), a new and improved food safety system. As such, products have complied with their requirements for quality and package labeling. The retail sector and consumer foodservice industry in Taiwan continue to emerge as lucrative markets for Philippine products, due to Taiwan’s busy lifestyle. Substantiating this is the rapidly expanding foodservice industry, which is forecast to reach sales of US$21.6 billion by 2017 (AAFC, 2014). The Taiwan food industry thus poses an attractive destination for the high-quality products of Philippine manufacturers, suppliers, and exporters. On-going Construction of Biliran Diversion Road, Biliran, Biliran with an accomplishment of 60% as of May 31, 2017. 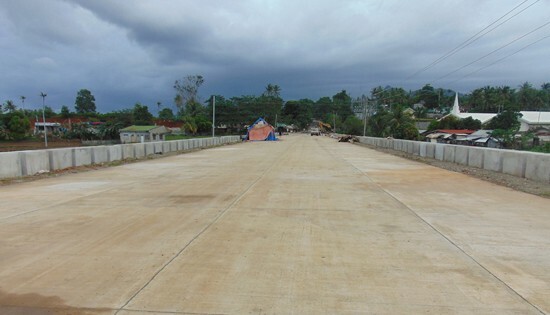 NAVAL, Biliran – The P43M Construction of Biliran Diversion Road project will resume its construction activities after problem on Road-Right of-Way (RROW) has been settled. This is revealed by Engr. David P. Adongay Jr., District Engineer of the Department of Public Works and Highways (DPWH)- Biliran District Engineering Office (BDEO). “We can now issue resume work order to the contractor because the permit to enter was signed by the affected landowner,” said Adongay. According to Adongay, the construction of Biliran Diversion road was hindered to proceed with the implementation because one of the landowners affected in the road opening refused to sign the “Permit to Enter”. Ms. Edwina N. Tan, RROW agent revealed that the problem on diversion road was settled by paying the affected landowner the exact amount as computed based on the assessed value of his lot. Engr. Albert Cañete, project engineer said that once the resume work order will be issued, contractor will be advised to render over time work 24/7. “The construction of Biliran Diversion Road at Biliran, Biliran has accomplished 60% as of May 30, 2017 and if weather condition is good, hopefully we can finish it by August or September this year,” Cañete said. The completion of the project will provide the traveling public coming from Tacloban City, Ormoc City, Baybay City and from other neighboring municipalities going to the northern and eastern part of Biliran Province and vice versa in a much safer and faster transport of goods and services and at a reduced travel time by 20 minutes. The population to be served by the road ranges from 120,000 to 135,000, 7 Municipalities and 50 Barangays. MANILA – It’s another Silver for the cacao farmers from Davao City! 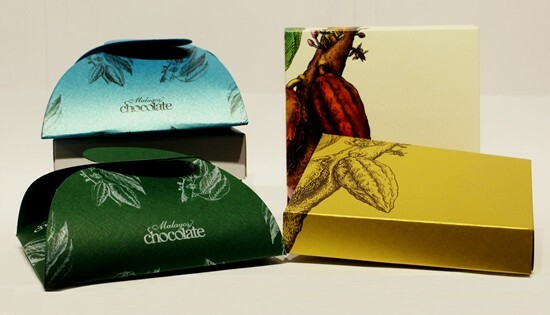 Malagos Unsweetened Chocolate won its 5th International award in a Chocolate Competition recently held at the Academy of Chocolate in London, United Kingdom – a group of industry professionals promoting excellence in fine chocolate-making. The announcement was made on June 5, 2017 on the Academy’s website (http://acadofchoc.com). Malagos Chocolates has been an active participant and supporter of all trade fairs/events organized by the Department of Trade and Industry (DTI). Malagos Chocolates is also one of the MSMEs participating as Partner-Supplier of DTI in the Go Lokal! Stores Project. For interested chocolate lovers, product samples will be available at the Go Lokal! Concept Store@DTI slated to open for June 30, 2017. Malagos’ Dark Collection is 100% pure cocoa liquor – chocolate in its purest form – and a five time winner of international awards: Silver in the Drinking Chocolate Category and Two Stars (out of Three Stars) at the 2016 Academy of Chocolate and Great Taste Awards in London, United Kingdom respectively; won the Silver in the 2015 World Drinking Chocolate Competition organized by the International Chocolate Awards in Hannover, Germany and in April of the same year, Malagos 65% Dark Chocolate won Bronze for Best Unflavored Drinking Chocolate at the 2015 Academy of Chocolate Awards in London, UK. MANILA – The start of the rainy season in the Philippines may add burden to the thousands of people displaced by the fighting in Marawi City in Lanao del Sur, southern Philippines. The International Committee of the Red Cross (ICRC) has observed an increase in the number of reported cases of diarrhea, upper respiratory infection, hypertension and fever in different health facilities providing medical assistance to the displaced residents, particularly those who are staying in evacuation centers. “We may have survived the fighting in Marawi, but I’m still concerned for the children and old people like me. Now that we’re here at the evacuation center, everything seems so uncertain. The rains are so strong and many are getting sick,” said Alimpay Macaagir, a 64-year-old evacuee at a covered court in Saguiaran, Lanao del Sur. More than 200,000 people have been displaced by the fighting in Marawi City. Majority of the evacuees are temporarily seeking shelter with their relatives. On the other hand, thousands of them who have nowhere to go are cramped in evacuation centers, within and outside the city, for more than two weeks now. In support of the local health units’ efforts to address this concern, the ICRC has been working closely with hospitals and other health facilities within and around Marawi City to augment their existing capacity. To date, the ICRC has provided additional medicines and medical supplies to 11 hospitals and health facilities in Iligan and Balo-i in Lanao del Norte, and Tamparan, Balindong, Piagapo, Saguiaran and Marawi in Lanao del Sur. The ICRC has also supported the mini-hospital setup by the rural health unit of Saguiaran by providing 10 folding beds for patients, and a supplementary kit of essential medicines and medical supplies that can serve 10,000 individuals for three months. “We have been working closely with the Department of Health (DOH) since the fighting in Marawi broke out, and we commend the good job that they have been doing on the ground despite all the challenges that they face. The ICRC will continue to be one of the active partners of DOH, supporting its efforts in providing the much needed medical assistance to the people affected by the conflict,” said Amigo. The ICRC is a neutral, impartial and independent humanitarian organization that protects and assists victims of armed conflict. It has a mandate to promote knowledge on and respect for international humanitarian law. 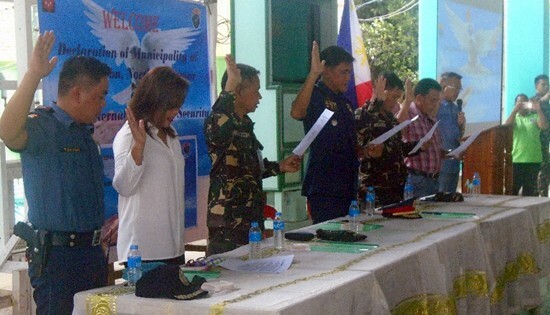 CAMP LUKBAN, Catbalogan City – The 20th Infantry (We Lead) Battalion together with the Northern Samar Police Provincial Office declared the Municipality of Mondragon, Northern Samar as Stable Internal Peace Security Condition on June 6, 2017 at the Mondragon Municipal Hall, Northern Samar. The highlight of the event was the signing of the Memorandum of Agreement (MOA) between the AFP represented by Brig. Gen. Mario G. Lacurom, Commander 803rd Infantry Brigade, PSupt. Cezar Zafiro Tannagan, Provincial Director of Northern Samar Police Provincial Office and Hon. Mario M. Madera after which the Oath of the Pledge of Commitment followed. Mayor Madera was thankful to the AFP as well as to the NSPPO for the unending support given to them. He likewise emphasized that the solution to the countless problems can never be achieved through the barrel of guns but through the oneness of the community of Mondragon. Meanwhile, Lt. Col Noly F. Lapizar, Commander 20th Infantry (We Lead) Battalion encouraged the participants to do their role to preserve the security gains and development of their community. Further, Brig. Gen. Lacurom, lauded that this declaration is one-step toward the continuous growth and development of Mondragon. “Let us affirm our commitment to adhere to our common goal of achieving a peaceful and sustainable development in the whole province of Northern Samar,” Brig. Gen. Lacurom added. MAKATI CITY – MSME Development. This is the main thrust of the APEC Business Advisory Council (ABAC) Philippines as it presented the priority work areas in the meeting with Department of Trade and Industry (DTI) Secretary Ramon Lopez following the second ABAC meeting for 2017 last 25-29 April in Seoul, Korea. APEC Philippines, through DTI, is working on the development of an APEC SME Marketplace as a one-stop shop for SMEs in the region. This online portal is envisioned to provide useful information such as the MSME policies and regimes in different economies. Ultimately, the project aims to serve as a platform for SMEs to access and tap into global markets and transact with other players in the region. “ABAC Philippines will work on identifying and enhancing the country’s comparative advantage and unique proposition so we can optimize and at the same time add value to our participation in APEC – now and on a continuing basis for the long term,” the chair concluded. Members of Candidate Soldier Course Class 462-2017 take their oath during the opening ceremony at Camp Eugenio Daza, Barangay Fatima, Hinabangan, Samar on June 1, 2017. CAMP LUKBAN, Catbalogan City – The Candidate Soldiers Course Class 462-2017 composed of 135 new aspirants was formally opened on June 1, 2017 at Stormtroopers Jungle Base, Camp Eugenio Daza, Barangay Fatima, Hinabangan, Samar with Brig. Gen. Francisco F. Mendoza,Jr, Commander, 802nd Infantry (Peerless) Brigade, Philippine Army as the Keynote Speaker. 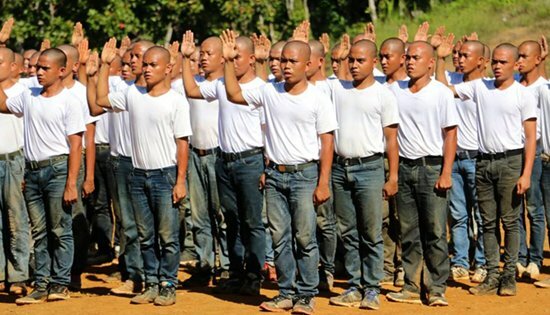 The majority of the newly selected batch of Candidate Soldiers came from the island of Samar 76; 32 from Leyte and Southern Leyte; four from Bohol; eight from Luzon; and 15 from the island of Mindanao. Three of them are licensed professionals; 18 are college graduates and mostly reached in high school level with TESDA schoolings. They will be honed for the duration of six months in basic military training and tactics and will serve as additional soldiers that will beef-up the personnel strength of the whole 8th Infantry (Stormtroopers) Division to include the Infantry Battalions deployed in Mindanao. Brig. Gen. Francisco F Mendoza, Jr. in his message said, “Inaasahan ko na kayong lahat, pagkalipas ng anim na buwan ay kumpleto kayong magtatapos at taas noong ninyong haharapin ang inyong graduation at ang inyong panunumpa bilang mga newly enlisted privates ng Hukbong Katihan ng Pilipinas. “At inaasahan ko rin, kapag kayo ay naging ganap na sundalong Philippine Army, ay matatapos ninyo ang inyong serbisyo ng buong husay at nang buong katapatan. Yan ang hamon na iiwan ko sa inyo bilang mga susunod na magigiting naming sundalo,” Brig Gen Mendoza added. MANILA – Ten days into the hostilities in Marawi City in Lanao del Sur, southern Philippines, civilian lives are at stake as the number of casualties continue to grow and nearly 2,000 residents remain trapped in the city. “We are extremely concerned about the residents who could not leave their homes because of the fighting, and also those who are reportedly being held against their will. We are also deeply worried about reports of civilians being killed,” said Pascal Porchet, Head of Delegation of the International Committee of the Red Cross (ICRC) in the Philippines. “Targeting civilians is prohibited by international humanitarian law (IHL), and all feasible precautions must be taken to protect them in military operations. We urge all those involved in the fighting to protect civilian lives, and are hopeful that those held against their will are being treated humanely and will be released. We stand ready to serve as a neutral intermediary to evacuate civilians caught between the fighting,” he stressed. The ICRC has been actively supporting authorities in the management of dead bodies. It has donated 160 body bags, as well as gloves and masks, to help the authorities with the proper retrieval of the bodies. The ICRC has also been negotiating for safe access to trapped civilians in Marawi by engaging in a constant dialogue with all parties to the conflict. However, the current security situation does not yet allow the ICRC to bring them all to safety. It has however transported nearly 600 people from Marawi City to the Saguiaran evacuation center or even as far as Iligan. International humanitarian law (IHL) limits the means and methods of warfare and protects people who do not take part in the fighting (i.e. civilians, medics, aid workers) and those who can no longer fight (i.e. wounded, sick, captured or detained fighters). These limits are particularly meaningful when military operations are conducted in populated areas where the risk of harm to civilians and civilian objects, including essential infrastructure, increases. Since the onset of the fighting, the ICRC has been on the ground assisting the population affected by it. It has also been reminding parties to the conflict to spare the lives of those who are not participating in the hostilities. Together with the Philippine Red Cross (PRC), the ICRC has distributed relief items to more than 10,000 displaced people, provided an equal number of people with access to clean water, and enhanced the capacity of six local health facilities to provide basic health care to thousands of people through the donation of medical supplies. “We have started conducting full assessment of the conditions of displaced people in hard-to-reach evacuation centers, to give us a better picture of the humanitarian needs. We hope to also assess the western and eastern parts of Lanao Lake once the security situation allows us to do so,” said Porchet. The ICRC is a neutral, impartial and independent humanitarian organization that protects and assists victims of armed conflict. It has an international mandate to promote knowledge for and respect of IHL.